Pool 3D Training Edition is a billiard simulation game you can use to learn how to play billiard games and enjoy playing the game with your friends. It truly simulates billiard physics and the advanced 3D engine makes the game just perfect. Online pool game, 8-Ball, 9-Ball, English Pool, Rotation Ball, Tournaments and Leagues. Monthly cash prize pool events. 2D and 3D modes of play. Realistic game physics and accurate modelling. Chat with others all over the Internet for FREE. Online Snooker game, billiards, tournaments and leagues every few hours. Free entry to cash prize snooker events every month for Members. 2D and 3D modes of play, accurate physics and modelling, play snooker and chat with others on the Internet. Golden Fairway is the best freeware / shareware golf game available for download on the internet. It features multiplayer golf against online human opponents, amazing 3D graphics, and tournaments with real cash and prizes! Download it now!! 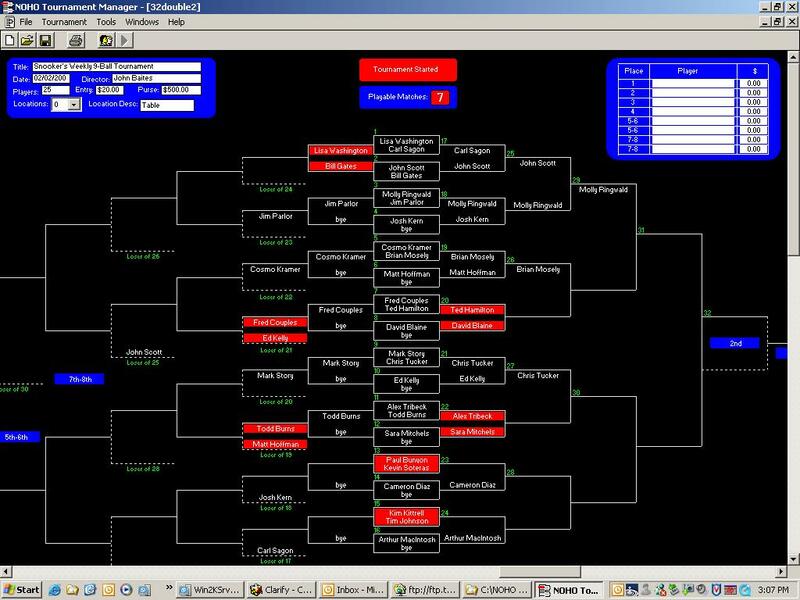 Runs single and double elimination tournaments for up to 64 teams or players. Features include optional randomization of players, automatic assignment of byes, highlighted matches, location assignment, full player names, and pay out calculator. Fast, accurate, and reliable Aimer (Buddy, Helper) that draws the path of the balls over the pool game window. Pogo Pool-Utto takes care of aiming and allows you to focus on the fun part of the game: better rankings and more badges! Steigen Sie als Trainer und Manager ins Handballgesch?ft ein und machen Sie Karriere als Erfolgstrainer. Trainieren Sie Mannschaften in der 1., 2. oder Regionalliga und spielen Sie im Europapokal oder mit der Nationalmannschaft bei EM und WM.